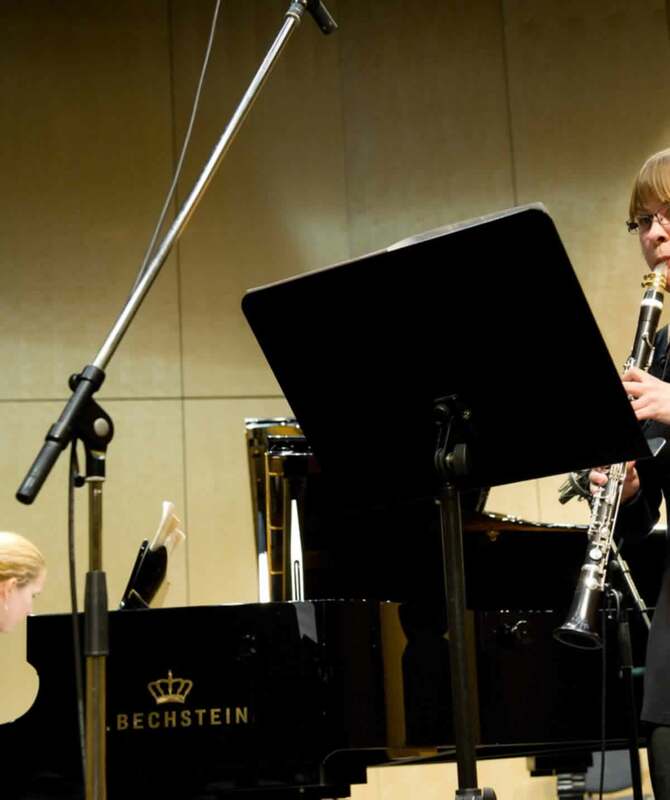 The composition lecturer at Dr. Hoch's Conservatory is the composer Claus Kühnl. Many talented and some highly gifted musicians from the ages of 9 to 25 have been making use of this option since 1984 - combining it with school or in parallel to study started elsewhere. Some of the first students of the Kühnl composition class have since achieved international success: Moritz Eggert, Bernhard König, Roland Böer, Franz Klee, Frank Gerhardt, Robin Hoffmann. They now work as professional composers or conductors. Other students have become established sound engineers or computer experts, such as Axel Gutzler and Frank Heckel. A new option has recently been introduced - for those with sufficiently high grades - of a course in composition without pedagogical training, which is known as "Künstlerische Ausbildung" (Artistic Education course) with a composer with many years of experience on the international stage. The Conservatory issues its own certificate. Wilhelm Killmayer "Schumann in Endenich" / Concert as part of the programme commemorating the 150th anniversary of the death of Robert Schumann.